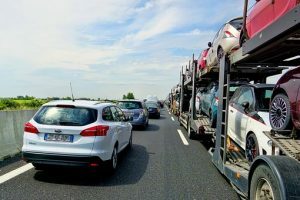 Vehicle accidents that occur on freeways can be particularly devastating as they often involve cars going at high speeds. These accidents can also impact many people at once as freeways tend to include high volumes of traffic. The consequences of reckless driving can be lethal. Whenever on the road, drivers must remember to follow remain vigilant at all times and do their part to prevent accidents. On May 24, the Massachusetts State Police received information about a multi-car accident that was causing delays. They received this report at 1:50 in the afternoon and responded to the scene shortly afterwards. This incident occurred on I-95 near Sharon. Upon arrival, first responders administered medial car for minor injuries, though the extent of the injuries is still being determined. The accident caused extensive delays on the highway, and emergency personnel directed traffic around the area while the scene was cleared. Car accident can have life-threatening consequences. While thankfully most car accidents do not result in injuries, some of them can cause catastrophic injuries or even fatalities. Since this is the case, it is essential that all drivers remain vigilant while behind the wheel and remember the duty of care they have to follow the rules of the road. We at the Law Offices of Jeffrey S. Glassman know how serious car accidents can be as we regularly help victims and their families recovering from the aftermath of similar accidents. We are members of this community, and we want our roads to be safe for all who use them. As such, we urge all drivers follow traffic laws and be cautious at all times. However, we know that accidents can still happen, and we are dedicated to providing assistance to victims so they can move forward with their lives.